It took me a while to work out what to do with this one. 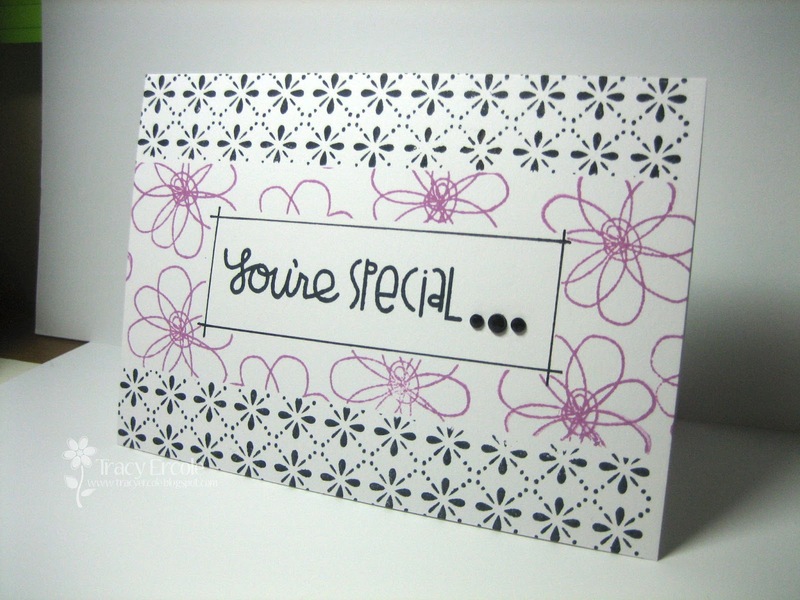 I ended up doing a fair bit of masking to create this card. As I used a 'purple' ink I am will also put it in the Jay Gee's Nook Challenge #10. Lovely card! Fab stamping and masking! This is a great card Tracy! Thanks so much for joining us with this super submission.